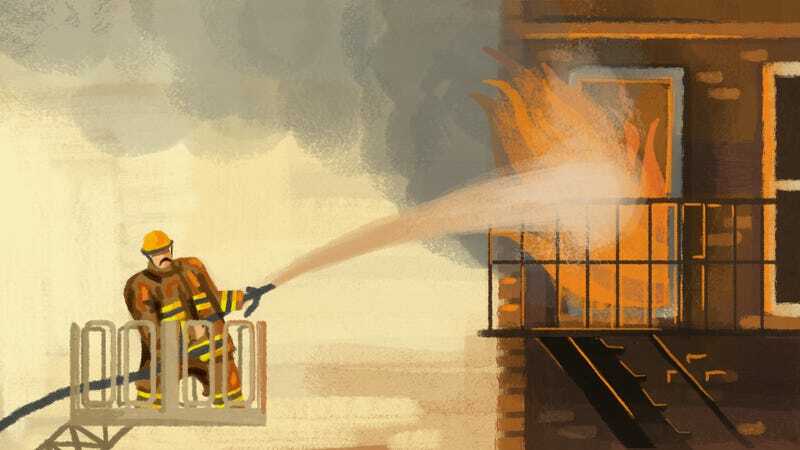 From our childhoods spent playing with fire trucks in the sandbox, to the myriad firefighting “hero dramas” in film and television, it feels like we spend our whole lives fascinated by firefighters. But are the brave men and women who fight fires, rescue the defenseless, and get you back into your locked car always the stoic, self-serious heroes we imagine? Or do they know how to have fun in their downtime? But heroism, courage, and helpfulness aside, firefighters are also known for another incredible trait: they’re masters of pranks. As the crew in Tacoma FD illustrate, there’s plenty of down time, and with down time comes plenty of time to think up elaborate pranks to pull on each other. Steve, an active firefighter with the FDNY (who asked that we not use his last name), says pranking is just a natural part of the daily life of a firefighter. From scraping the creme out of Oreos and replacing it with toothpaste, to poking holes right toward the top of a milk jug so a small stream will pour out whenever someone goes to use it, getting the one up on your fellow crew members becomes a sort of right of passage. “If you forget your work duty shirt and leave it lying around,” Steve explains, “a lot of times it’ll end up in a bowl of water and shoved into the freezer.” And the prank-punishment for leaving bunker gear around is even more severe: “pants, boots, coat, and helmet all up hanging from the ceiling” requiring hauling out the ladder to retrieve your gear. When Kevin Heffernan and Steve Lemme set out to make their firefighter comedy Tacoma FD — about a group of firefighters with too much downtime in the world’s rainiest city — they took into account all of the above sentiments, heroic and playful. And even though their firefighters play pranks on each other and goof around, they’re competent, smart, and good at their jobs. To see them in action (and in inaction) tune in to Tacoma FD on truTV on Thursdays at 10:30pm.